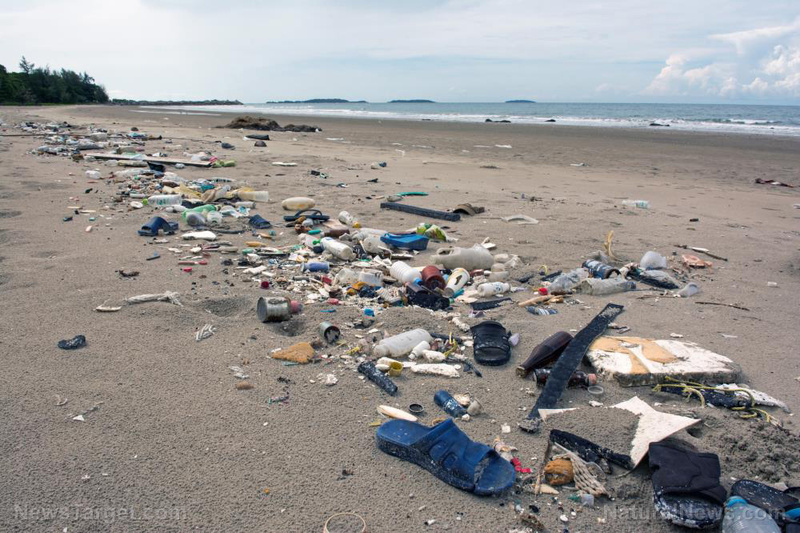 (Natural News) In response to the increasing amounts of plastic trash that are washing up on the shorelines of the world, many concerned groups are rallying people to gather up the beach litter for proper disposal. But these organized clean-up efforts are only a drop in the world ocean-full of plastic waste. The beaches of Roatan reflect this. A tropical island in Honduras, Roatan is practically overrun by garbage tossed out by its own occupants, its Caribbean neighbors, and even countries in Central America. The Israeli company SodaStream recently sponsored a week’s worth of clean-ups for some of the island’s best yet most polluted beaches. Overseen by Honduran non-government organizations, hundreds of Roatan locals filled large containers to the brim with single-use bags, water bottles, and the occasional Monobloc chair. SodaStream produces soda-makers and bottles that can be used many times. The Roatan clean-ups are part of a new campaign to hawk its products, which are made from plastic. Researchers are divided regarding their opinion of organized clean-ups. On one hand, they admit that it is better than nothing. On the other hand, better than nothing still looks a lot like nothing when placed beside the millions of tons of plastic that go into the ocean each year. Most of that plastic waste never reaches the shoreline. Instead, they sink to the bottom of the ocean, where they continue to cause serious environmental problems. Furthermore, clean-ups are not as effective as they appear to be. A 2018 study conducted by Cyprus-based environmental group ISOTECH reported that people usually fail to collect the small pieces of litter that are most likely to get eaten by a seabird or fish. Proponents argue that cleaning up even just the bigger bits of plastic trash prevents marine animals from accidentally eating them. Furthermore, the collected plastics will not get broken down into more dangerous microplastics and nanoplastics. Finally, they claim that people who participate in clean-up drives will start thinking more about plastic litter and its effects on the environment. In what is called the “behavioral spillover effect,” someone who took part in an environmental activity could become more willing to do the same thing again or join other similar activities. Other experts believe that mere clean-ups are useless. Director Maria Westerbos of the Netherlands-based Plastic Soup Foundation was present at the Roatan clean-up activity, but she did not lend a hand to the locals. Instead, she and her team took photos of the plastic trash collected by the clean-up crew. They will use the photos to identify the source of the plastics. Westerbos believes that the best way to halt the flow of plastics into the sea is to stop the source of the trash. That means going after plastic manufacturing companies that produce excessive amounts of plastics in the pursuit of profit. One way to do so is to impose a corporate tax on any product that incorporates plastic. Increasing the cost of plastic products would force companies to reduce their current levels of production or lose money. The money collected from the corporate tax can be used to fund research into biodegradable plastics that can be broken down by natural processes. The new bio-plastics could replace the petroleum-based plastics that resist environmental degradation.